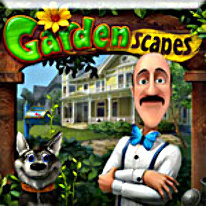 Create the perfect garden in Gardenscapes! Comb the rooms of a gorgeous mansion for hidden items and restore a once stunning garden to its former glory. Choose from tons of garden accessories to customize the garden to your taste. Become part of the city's community and compete in the Best Garden contest. No worries if you are a garden design novice, Austin, the witty butler will always be there to offer assistance. Become an outdoor decor pro in Gardenscapes, a cutting hedge game!